Set in the middle of the metropolis, this 4-star business hotel puts you in a prime location with a short walk away from Cebu’s business district, premier shopping centers, and main tourist attractions. Its guestrooms feature a minimalist concept allowing an extra space to unfold and relax—complemented with upscale amenities and fully functional facilities. Mezzo Hotel’s function venues provide elegant spaces adaptable for any event—be it a private business meeting, a conference that holds 1,000 seats or a grand wedding celebration. Please your palate with gourmet dishes at Cafe Mezzo or chill out with jazz and blues at Ryan’s Bar—offering a selection of hand-picked wines, an impressive array of cold cuts, small plates, and cheeses in plush interiors yet relaxed atmosphere. Enjoy light bites and soothing drinks at the Pool Bar and take a dip in the swimming pool or fulfill your fitness needs at our brand new gym. 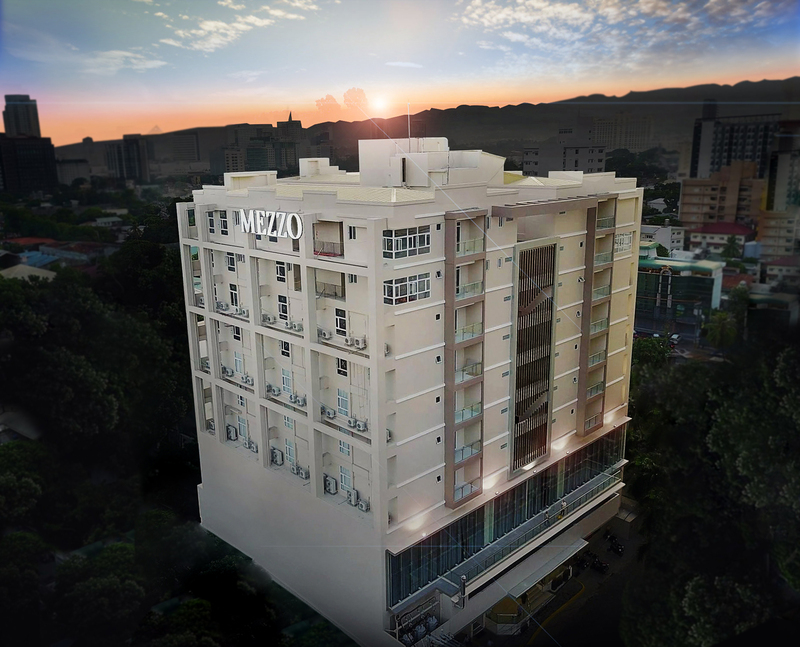 With above-and-beyond service blended with Cebuano charm, Mezzo Hotel welcomes you to the Queen City of the South.